Our services begin here. You are greeted at the airport by our Travel facilitator, and then ushered to a chauffeur driven vehicle. You are then driven to your hotel where you are assisted with your check in. The next day’s plans are briefly reviewed and the Travel facilitator hands over travel documents such as your hotel vouchers to you. 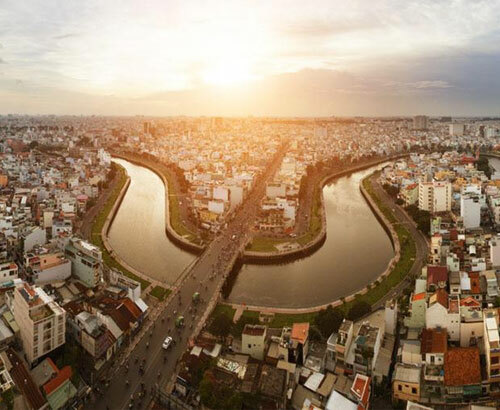 Start your exploration of Vietnam with a city tour of Ho Chi Minh City, formerly called Saigon, features the History Museum (closed on Monday), a short walk along the shopping areas on Dong Khoi Street (formerly Rue Catinat) from Notre Dame Cathedral to the Municipal Theater. Visit the Binh Tay Market in Chinatown, Thien Hau Temple, and a lacquer workshop. Afternoon - Take a ½ day excursion to Cu Chi, 43 miles north of Saigon, famed for its 125 miles of underground tunnels. Crawl down a tunnel to feel the underground life, and then have an option to test your marksmanship with an AK rifle at a local rifle range (extra charges apply). Enjoy a full day excursion to Ben Tre, 46 miles south of Saigon, which is a peaceful town on the banks of the Mekong River. The tour consists of a cruise on the Mekong River, a visit to local homes and orchards, a sampan ride on palm-shaded creeks, a taste of seasonal fruit & honey tea, and a performance of traditional southern singing. Lunch of Mekong specialties is included this afternoon. Return back to Ho Chi Minh City in the afternoon. Check out from your hotel by noon. Your vehicle and driver transfer you to the airport for departure flight. Our services end at Ho Chi Minh City airport.